Okay dear blog readers…I’m going to share something very special with you today. 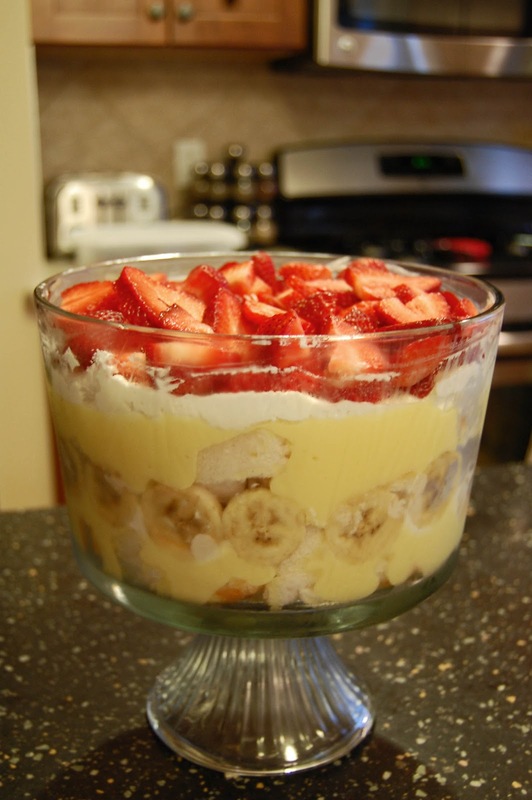 Something that is sure to dazzle anyone at a party or get together….my famous fruit trifle. Well, actually this recipe comes from my mom, but I think I make it a lot more than she does, so it’s officially my recipe now! Doesn’t it look delicious? And guess what….it’s easy! It is by far the easiest dessert to make….and it yields the most compliments and requests for the recipe every time I make it! The secret to making a trifle is…are you ready for this?……A PRETTY BOWL. Trust me. Anything you put in a trifle bowl automatically looks professional and all kinds of awesome. Really all a trifle is is some cake, pudding, whipped cream and fruit. It’s the bowl that kicks it up a notch and makes it a real dessert. 1. Some cake. For a fruit trifle I like to use angel food cake….it keeps everything light. 2. Some pudding. I like to use sugar free fat free vanilla. I’ve had the full fat/sugar kind and really, it doesn’t make the trifle any better, so save yourself some calories and get sugar free. And buy the large box, not the small one. 3. Some whipping cream. You really need a little more than I have pictured above….I sort of ran out. So buy two small cartons. And yes, you have to whip the cream yourself! It’s not hard at all. And it tastes better than the pre-made stuff. 4. Some fruit. Strawberries and bananas are a must. Sometimes my mom makes this with blueberries too, but I don’t like them so I left them out. Really you can use any fruit you like. 5. 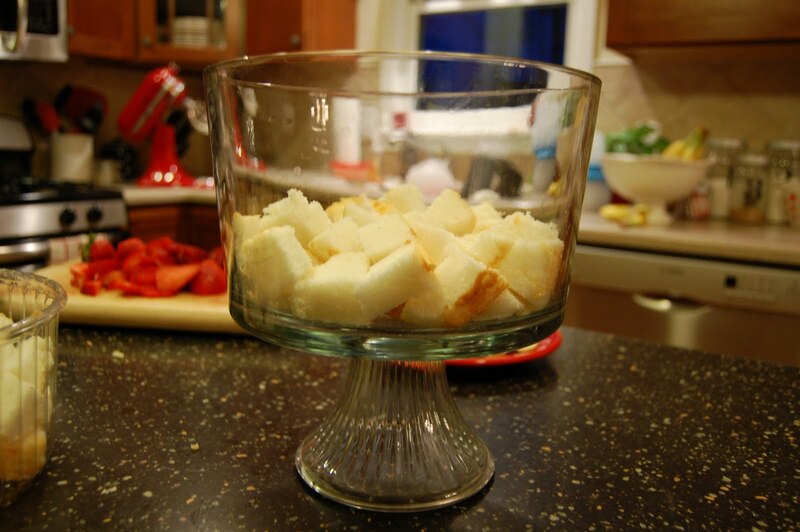 A pretty trifle bowl….I can’t stress this enough! You can get one for cheap from Bed Bath and Beyond. 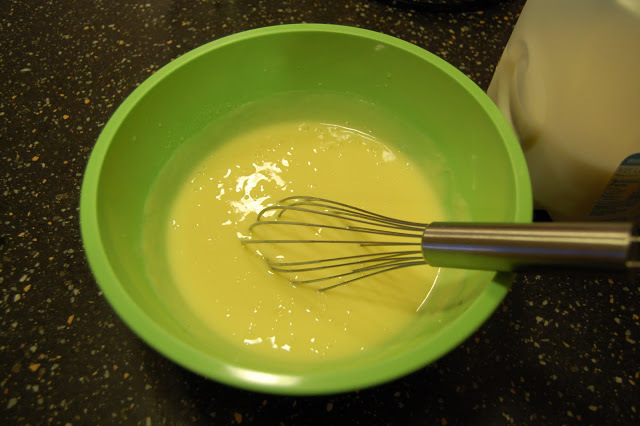 Step one, mix the pudding and place it in the refrigerator to set. Next, start chopping! I used two bananas. Cut your cake into one inch pieces. They don’t have to be perfect. This is a good job for a husband or child to help out with! Once everything is chopped, whip your cream. You’ll have to add a little sugar (maybe one T) or some sweetener to it…just enough to sweeten it up a little but not so much as to make it too sweet. Then whip out that trifle bowl and get to work. First layer some of your cake. 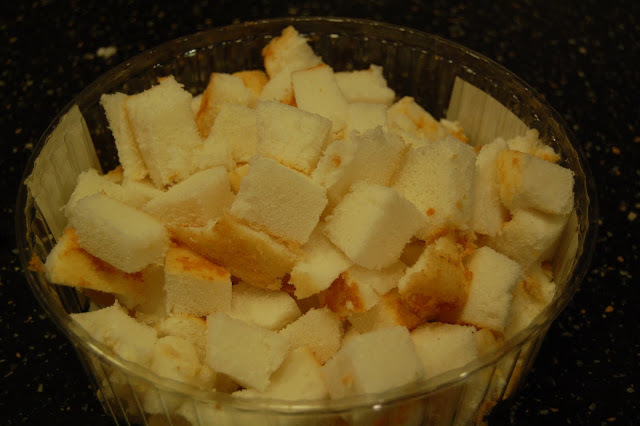 I usually do not end up using the whole angel food cake. The husband always loves the left overs. Next, drizzle half of the pudding on top of the cake. Remember, it doesn’t have to be perfect. Then you will make a layer of whip cream. I guess I got tired of taking pictures at this point! 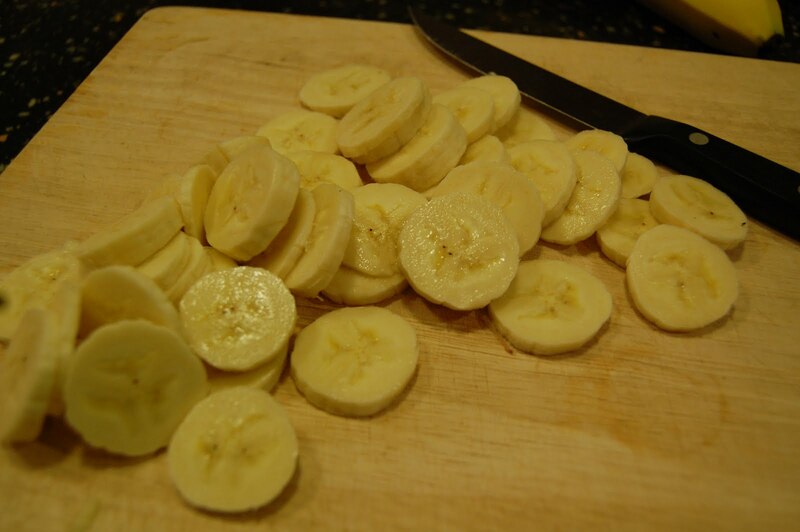 Top the whip cream with all of your chopped banana. Then start again with another layer of cake, and the rest of your pudding. Now, usually I would then add the berries and then top with the remaining whip cream. (That’s why I usually save one strawberry for the top). But, like I said before, I didn’t have enough whip cream to completely cover the top and make it look pretty. So don’t be like me….make sure you buy enough whipping cream. The simple solution was to layer the rest of my whip cream on top of the pudding and then place the strawberries on top to cover up any imperfections. Easy enough, right? Yum. I made this last week for a work potluck and it was a hit, as always! Oh, and make sure you use a paper towel to wipe the “ugly” parts of whip cream on the top, which I forgot to do. Again, don’t be like me! I’m linking up with one of my favorite blogs, These are a few of my favorite things, for How-To Tuesday! You're right about people loving this. It's so easy and delicious and everyone raves! 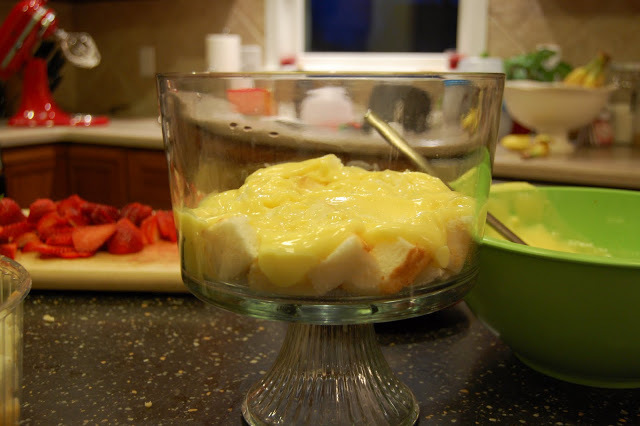 I loove a good trifle, and I'm pretty sure we have the same trifle bowl. However, I can't believe you put bananas in yours. ICK! Haha, I'm all kinds of picky. Aahh! Looks amazing! I've been craving that for a while now, I am going to have to make this! Thanks for sharing! I love trifles! I make a similar one except I use blueberries, strawberries and raspberries. I am going to have to try bananas next time! Ah trifle. Yum! And you are so right about serving this in a beautiful bowl – it just cranks up the specialness factor! i gotta get me a trifle bowl. i bet if i put ceral and milk in that thing it would look good. You're right. The BOWL brings the WOW factor. Great job! And, thanks for the BBB link! that looks delicious! I love trifles! Oh my! 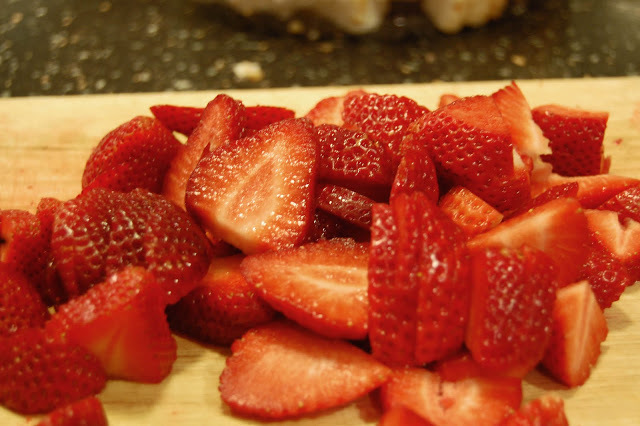 That looks so fantastic and perfect for spring with the strawberries finally looking so delicious. I'm making this for sure. That is JUST what my life has been missing. I am so making that this weekend. YUM. Beautiful~! 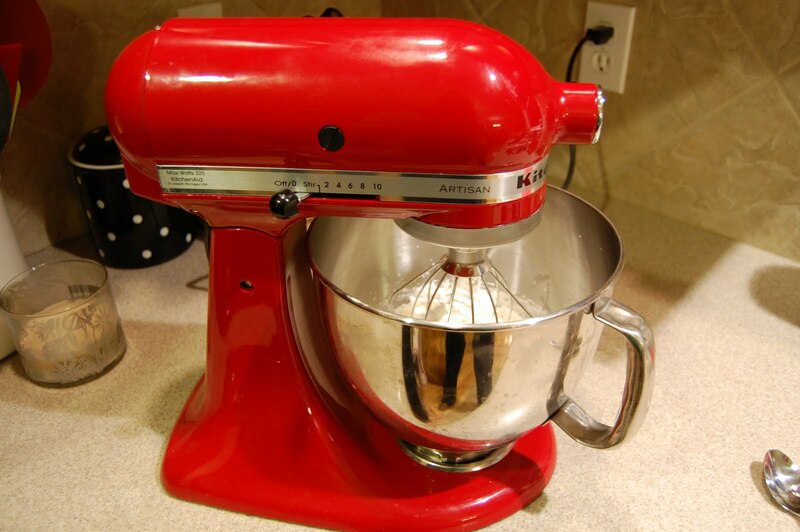 I'm jealous of your kitchenaid because it's RED! Mine's white, because white was the one that was 50% off. I'm such a sucker for saving money, dang it! Red would look so much better in my kitchen. But I love it, I'm sure it will whip my cream just fine. Thank you for your recipe! This is all kinds of fun. LOVE it! Great tips. I'll have to give it a try soon! Custard, good. Jam, good. Meat, good! I never make my own whipped cream… but now I totally will! trifles are my FAVORITE! I would eat the entire thing =) true story! Mmmm, wish I had a bowl of this right now! 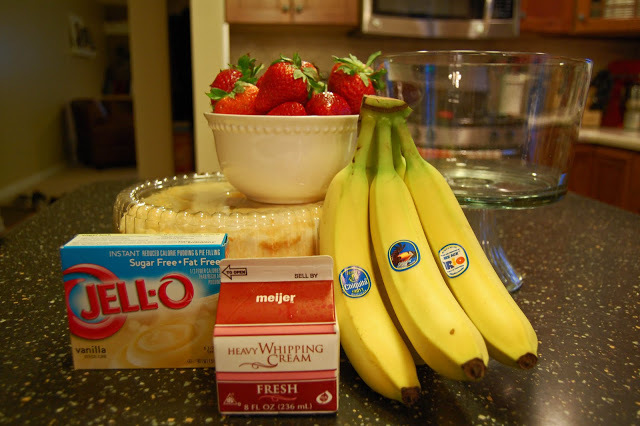 I love strawberries and bananas together and angel food cake is delish! Yum! This looks absolutely delicious. I haven't made truffles in forever, but definitely think I am going to need for easter! You have a lovely blog and I am your newest follower! this looks so tasty. there is no question that I will be making this, as soon as I get a pretty bowl haha thanks! This looks so good and i am sure it is delicious, i will try this recipe for sure. Thanks for sharing. Wow! This looks SO SO yummy! And good tip on the pretty bowl! Definitely makes a difference! I made this for the first time this weekend and it was a huge hit! I linked up with it on my blog tonight for What I'm loving Wednesday and Love it! Thanks so much for sharing!